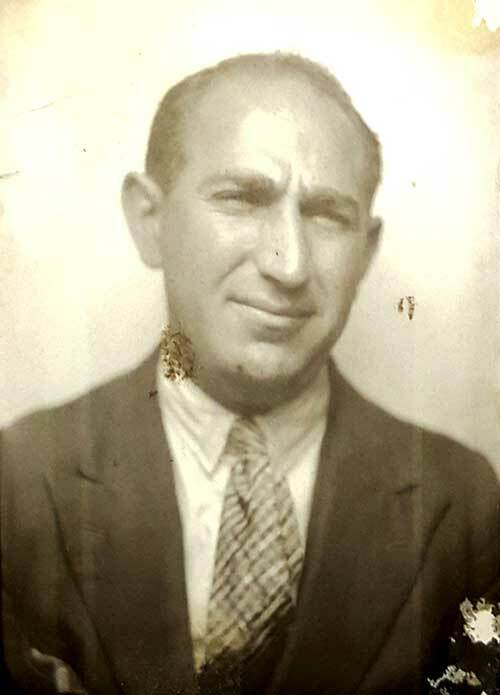 Issie was born in Skud, and according to his naturalization papers his date of birth was May 11, 1901. However, we think he was older than that; possibly born before the end of the century. At that time, many people falsified their ages for fear of being drafted into the army. He said he was one of 13 children, of whom only nine, three girls and six boys, survived childhood. He went to a Jewish school, which was more like a cheder, but didn’t attend high school. He took subjects such as Jewish studies and German at school, and he played rugby and football. The children entertained themselves with games and went to the cinema once a week. The Jews didn’t mix much with the non-Jews and the families usually got on together – depending on the families. Issie left home at age 18 together with Alec. They traveled through Germany, arriving in South Africa in 1921. When they got to London docks, Issie had a rash and they would not let him on a boat that would take them to South Africa. The authorities wouldn’t allow him to board until he got better, and put him in quarantine. This took about three weeks in hospital. Alec used to come to see him every day, and when he was better the two of them got onto the boat. On arrival in South Africa he went to work for Harry Sneech. 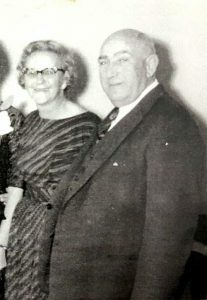 Issie met and married Essie Bliss, who was born in South Africa in 1910. They started off their married life in Elandsfontein, where he ran a grocery store together with Alec. He then went into partnership with Alec, Max and Louis in Jaybee Brickworks. Apparently in the early years in South Africa Issie had a motorbike. One day he was going to a picnic with Ettie Cartoon on the back of his bike. As they passed Gillooly’s farm, they went over a very rough patch in the road. They bounced over a bump and Ettie fell off the bike. Issie didn’t even realize that it had happened and carried on for quite a while before he realized she was no longer behind him.